SANTA ANA, CA – (Dec. 20, 2017) – Yokohama Tire’s strong GEOLANDAR M/T G003™ mud-terrain tires will get the ultimate test: the iconic Dakar Rally. Yokohama announced its M/T G003 tires will be on the SsangYong Motorsport Tivoli DKR vehicle in the rally, which runs from Jan. 6 to 20, 2018 in South America. 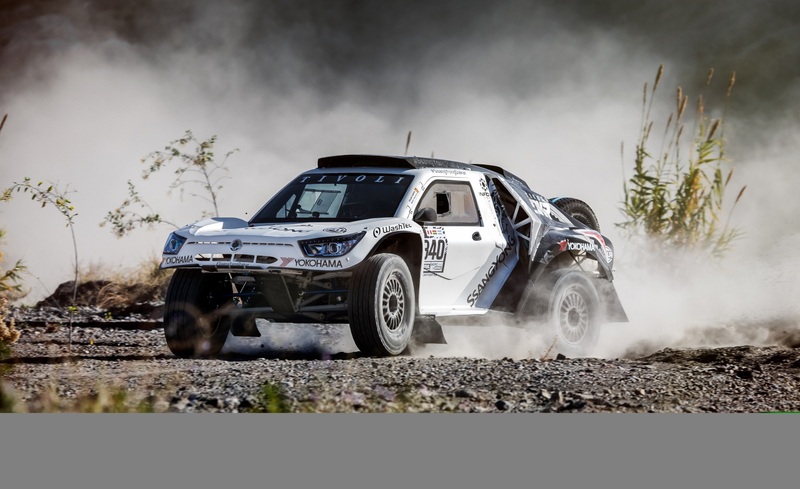 Spanish drivers Óscar Fuertes and Diego Vallejo will pilot the new SsangYong Tivoli DKR – a buggy with a powerful V8 engine and rear-wheel drive – through some of the roughest terrain in the world. The 40th edition of the Dakar Rally begins in Lima, Peru and will go through Bolivia and end up in Córdoba, Argentina. The approximately 5,592-mile event features 14 stages through sand dunes, extreme altitude, strong winds and punishing heat. For more details on SsangYong Motorsport, go to www.ssangyongracing.com/. For more information on the 2018 Dakar Rally, visit http://www.dakar.com/en/. Yokohama’s other off-road alliances include being the title sponsor of the 2018 Yokohama NORRA Mexican 1000 and the 2018 Yokohama Sonora Rally, as well as being the official tire of Horsepower Adventures. Yokohama is also the official spec tire of the Porsche GT3 Cup Challenge USA by Yokohama and the Ultra 94 Porsche GT3 Cup Challenge Canada by Yokohama. Yokohama’s sports sponsorship roster also includes Chelsea FC, Major League Baseball’s Los Angeles Angels, Nitro Circus Live US Tour, Nitro World Games, Spartan Race Series and the Needham Memorial Day Soccer Tournament Driven by Yokohama.